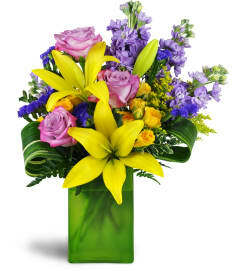 Send someone your sweetest thoughts drifting on a delightful summer breeze with our Wishes and Kisses bouquet! Perfect pinks, pleasing purples and polka-dots of white all dance in a meadow of lush green. 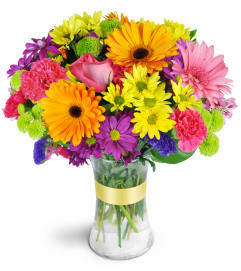 This light-hearted arrangement is a wonderful way to make someone's day! 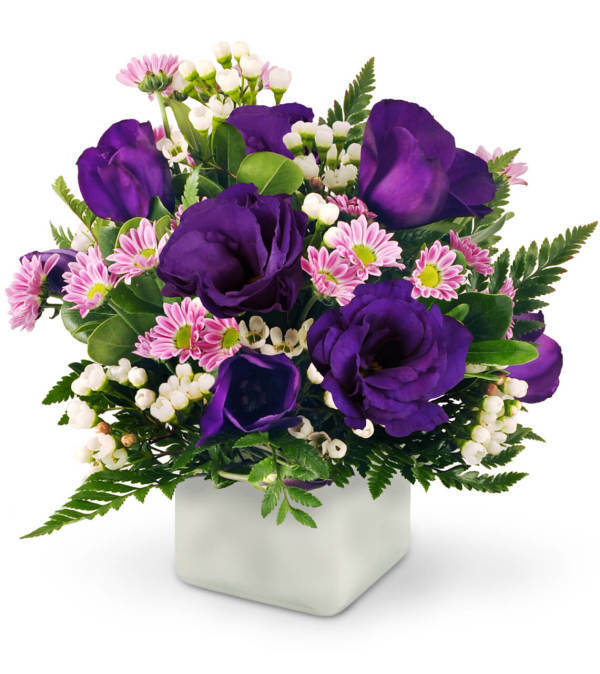 Delicate lisianthus, miniature daisies, and waxflowers are beautifully arranged in a frosted glass cube and accented with leatherleaf and pittosporum.